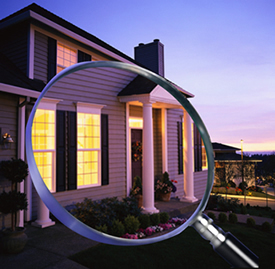 Most home buyers hire home inspectors to look at their new home before they close. There are a few key issues you will probably look for when looking at a home to make sure that the process does not take too long and that too much time is not spent on repairs. One of the first issues you should look for is mold and mildew, particularly if the home is damp. Mold and mildew can be a sign of a leak. If spaces underneath the home, including the basement or any crawlspaces are damp and covered in patches of mildew, it can corrode building materials and attract insects. It could be a sign of foundation issues in the home, and if that is the case, you might want to reconsider offering on a home, or at least ask for a significant discount. You will also want to take a look at the roof of the home. If shingles are in poor repair, or are moist and rotten, it is a good idea to request that they be repaired by the seller. You will want to note the condition of the chimney and make sure that the fireplace is functioning properly. Look around the base of the chimney and be sure that the flashing is watertight, and that the mortar and bricks of the chimney are in good condition. Your professional home inspector will likely check the home’s water pressure by testing the different faucets throughout the home. But, he will also check the home’s septic system. Often, this is done by flushing dye down and seeing if it rises to the top of the septic drainfield, as this indicates a drainage problem. The home inspector will also look at the electrical systems and wiring. It is important to make sure that any ground fault circuit interrupters (GFI) are both working properly and wired correctly. This is because these are mini circuit breakers that go off during a short circuit or overload and can help prevent electrical fires. If there are significant issues with the home, you have the right to make a request for repairs. But remember that depending on your contract, the seller may also have the right to refuse unreasonable demands if you are requesting too many small repairs.